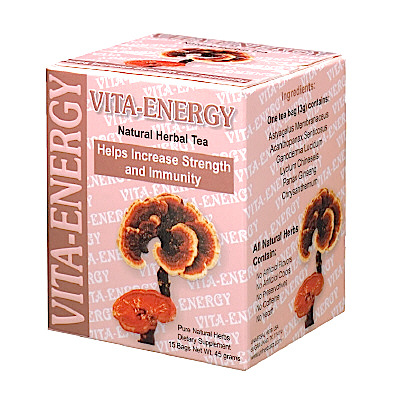 Ganoderma, panax ginseng and chrysanthemum are combined to make an antioxidant rich tea that helps to increase strength, vitality while boosting immunity. Ingredients: Astralagus membranacus, acanthopanax senticosus, ganoderma lucidum, lycium chinensis, panax ginseng, chrysanthemum. Made by Universal Herb, TX. Directions for Use as indicated on label. Contents: 15 tea bags per box.